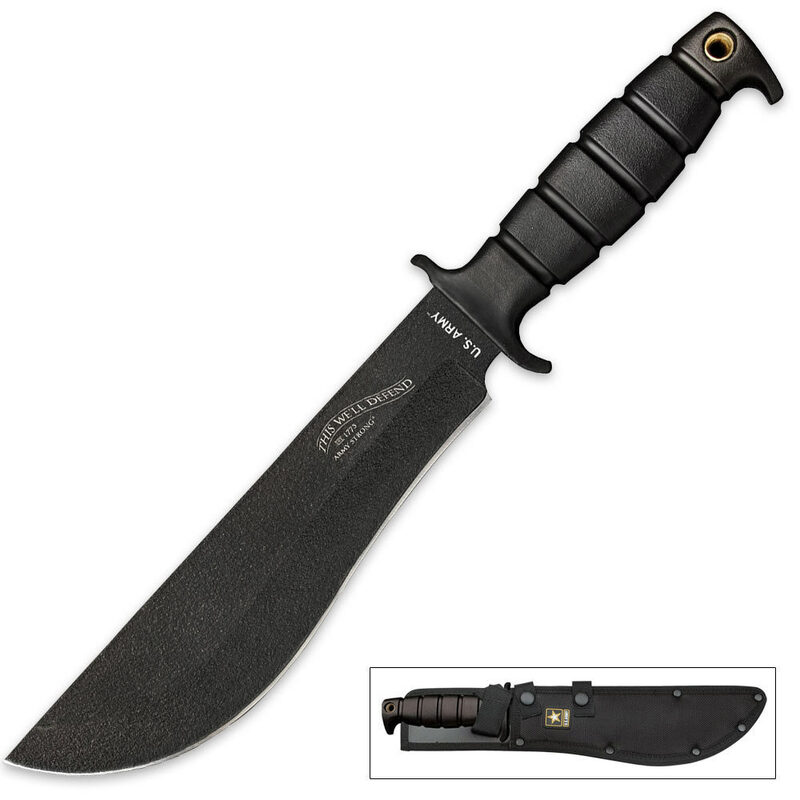 U.S. Army Patriot Fixed Blade Knife With Sheath | BUDK.com - Knives & Swords At The Lowest Prices! This officially licensed U.S. Army Patriot fixed-blade knife will serve you proudly! The hefty, 5mm-thick blade is crafted of rock solid 440 stainless steel with a black anodized finish and a razor-sharp edge. The rubberized handle provides a slip-free, confident grip. Includes a MOLLE-compatible sheath.